RUSH Cambridge celebrates first birthday Great Gatsby style! RUSH Cambridge turned 1 on Monday 28th November and what a wonderful year it has been for them. We are so proud of our 80+ salons across the UK and are happy to celebrate whenever one of our salons has a birthday! RUSH Cambridge was the final salon opening of 2015 and has had a wonderful year. Gentiana Restelica runs the salon. Gentiana always knew she wanted to be a hairdresser, so when she left school, she went straight into the hairdressing industry. She has been in the industry for 6 years and wanted to own her own salon from the moment she left school. 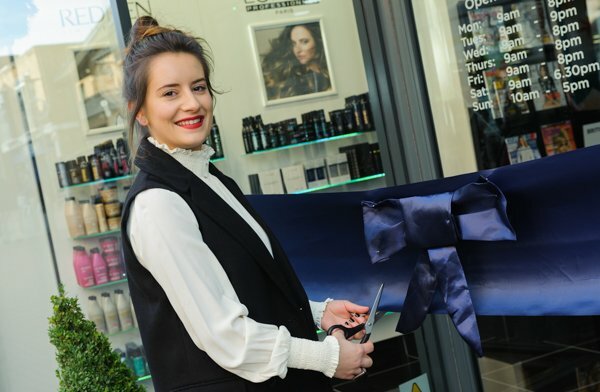 One year on and she runs a successful salon at 24-26, Fitzroy Street, Cambridge, CB1 1EW. The salons birthday had a slightly different twist- it was Great Gatsby themed! The staff all dressed to impress and got the salon ready for the event. The salon had offers on for clients, prosecco, and canapes! There was even a huge birthday cake, which the staff blew out all the candles! As always RUSH were raising money for GOSH. They organised a raffle and gave customers the chance to win prizes. The event was a success- Happy Birthday RUSH Cambridge!